We don’t just talk about Open Source, we live it too. After all, the advantages of Open Source software over proprietary software are clear: Publishing the source code makes it possible for everyone to view the software and understand how the software can be modified, further developed and made available to third parties. We are convinced that Open Source software guarantees higher quality as not only the developers themselves can identify and resolve errors. This openness also ensures faster innovation cycles, as new ideas from the most varied of areas can be implemented in the products. In addition, the scalability of Open Source software guarantees high flexibility and cost-efficiency. On top of all these benefits, our customers and partners also need the reliability of a manufacturer who accepts the full responsibility for its products. For this reason, we offer our products with maintenance and support for the complete solution, completely independently of whether we have developed a component ourselves or taken it from an Open Source project. And because we live Open Source, Univention itself is also an active member of the Open Source community. Developers at Univention are actively involved in the development of a wide range of Open Source projects. 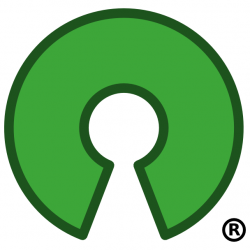 Univention: 100 % Open Source. For this reason, all our products are 100 % Open Source and a part of it is based on already existing Open Source software with a core developed by professional developers from a wide range of organisations. This way you are not bound to one manufacturer. This is exactly what makes our products economical and sustainable.